Living for a super-sharp, statement-making eyeliner? 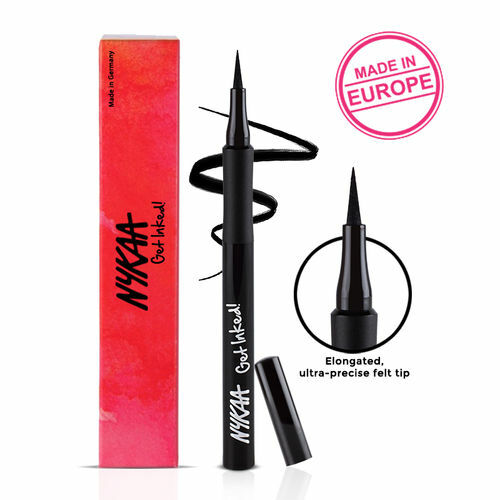 don't just gush over the stunning eye looks, master them yourself with Nykaa Get Inked! Sketch Eyeliner. Featuring a slender and precise felt tip, this intensely pigmented, waterproof pen lets you achieve intense black liquid lines effortlessly. Every stroke gives you unparalleled, defined fluid finish. Fine and natural or broad and bold - any look is easy-peasy with this artist!